This wedding was very special not only because it was at a beautiful location (Sky Helicopters Wedding Hall) bit also because it was one of my friends who was getting married. The wedding took place this past Saturday Sep 30th, 2017 and early on it had all the signs of a nice organized wedding. I loved the wedding details from the flowers to the photo booth. The night started with a beautiful Assyrian style entrance which everyone enjoyed very much then it went on to some amazing speeches after dinner time and onto the dancing starting with the bride and groom’s first dance as husband and wife. Later, I had played all styles of Western music such as 90s hiphop and R&B as well as the EDM, Trap and reggae music. 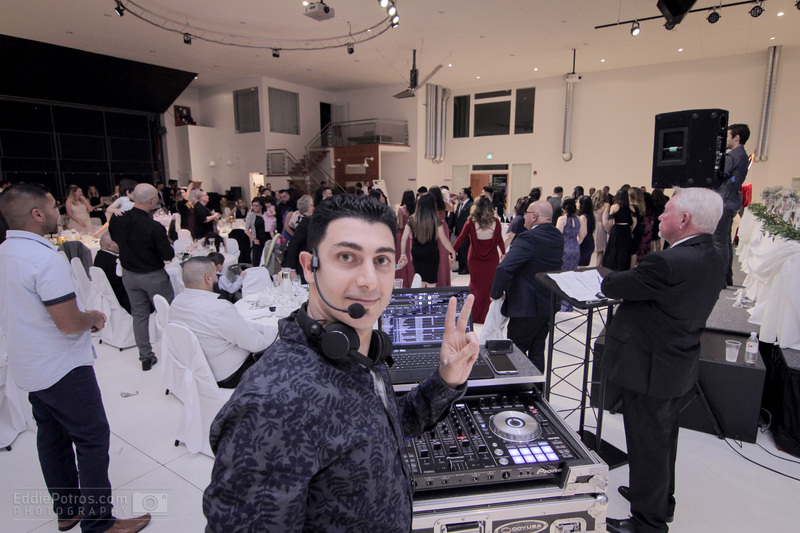 This was mixed through out the night with Arabic music from Iraq especially which included all the top Iraqi hit songs and I also put the best Assyrian Khigga music of many types like Khigga Yaqoora, Khigga Shaykhani, Khigga Baplaga, Bageeya, and much more. There were many special requests and one of the most requested of recent is the Spanish/Latino song Despacito along with many other beautiful Spanish hits. I enjoyed seeing lots of good friends and made some new ones as well. I also managed to take a few pictures as usual. 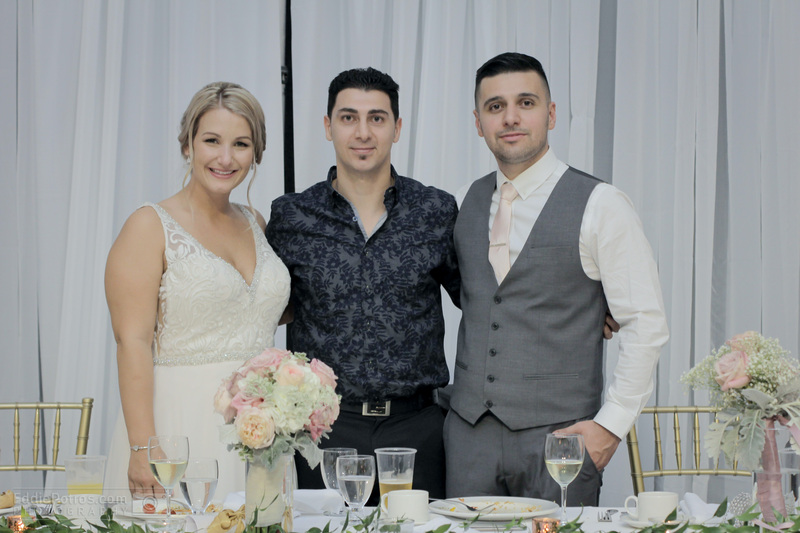 A big congratulations to the beautiful Husam & Deanna and I wish you guys a lifetime of happiness together. God bless you both.